So here we are again, late August and silly season is almost at an end for another few months. The transfer window is a time, I’m sure you will agree, of excitement, expectation and one of frustration. This particular transfer window has certainly contained all of the above. We have added to our squad three extremely talented young players in Ashley Young, Phil Jones and David de Gea. These three players provide us with the excitement of seeing them grow into firm first team regulars. Players who we would all pay to watch week in week out. Not only do they provide us with the excitement of how they will grow and play as part of our beloved team, but also the excitement of how their addition will take the team forward. They are among the future of Manchester United. With that excitement, expectation goes hand in hand. Having won the league last season, as well as reaching the Champions League final, and F.A. Cup semi final we all feel that this season will be one of trophies and exciting football. Our new additions can only strengthen that feeling of expectation. Jones: as strong as an ox, great tackler, fast, capable of going forward, sound passer of the ball and he has a cool head. Young: fast as lightening, great passer of the ball, can turn defenders inside out, deliver assist after assist after assist, excellent at set pieces and will score a few goals. De Gea: he may have had a shaky start, but anyone who has seen him play for Athletico Madrid knows how capable he is. A goalkeeper who will command his box, organise his defence, shot stop and start attacks. The squad is now strong and therefore even more capable of competing on all fronts and continuing to mix it with the best of the best. The times ahead are indeed exciting and filled with expectation. However, this transfer window, for many fans, has also been one of frustration up to this point. 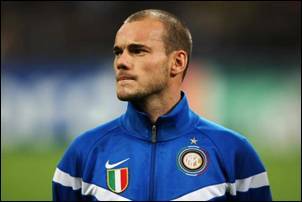 We are of course talking about the Wesley Sneijder transfer saga. 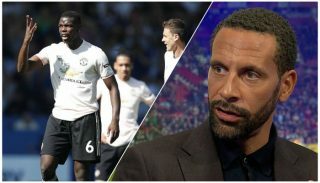 The saga picked up before the transfer window began, when there were whisperings that Manchester United were interested in bringing the Dutch playmaker from Inter Milan to Old Trafford, and that he in turn was more than interested in making the move. We are all more than aware of how this has so far played out. It started with mind games, and then came talk of talks being held between ourselves and Sneijder’s representatives. Then came the fee, too much to interest United? Negotiations took place. Wages are an issue (in the main caused by the higher tax rate in the U.K.), then imaging rights. Rumours of the deal being finalised along with rumours of the deal being dead both grew pace. With all the rumours from newspapers and websites, plus the cloak and dagger negotiations from the clubs left fans bemused and with no idea of what the outcome would be, and as I write still no real idea. In these times of social networking, opinions and rumours are easily spread. This can add to the frustration of fans when situations take time to resolve and rumours increase. It can become easy to obsess about something, logging on for the latest rumour or bit of news. The Sneijder transfer saga has been no different. Many fans are now in a head spin as transfer deadline day edges closer and a resolution looks to be slipping away. 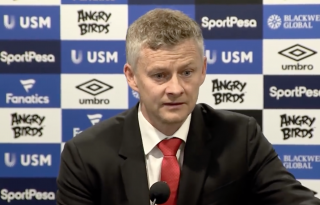 It is no secrete that Manchester United’s main transfer target this season, other than a goalkeeper, was to bring in a proven central midfielder, a playmaker, to replace the legendary Paul Scholes. It now is quite apparent that that player will be Wesley Sneijder or nobody. As the situation is yet to be resolved, some of the early transfer window excitement and expectation seams to have disappeared from some quarters, and has been replaced with the frustration of not yet obtaining the big name, the playmaker, the one. There is still time for the transfer to happen, and though it does look less likely than it did a few weeks ago, I remember back to the signings of Rooney and Berbatov. Transfer deadline deals which add spark, the excitement and the expectation once again. There is every chance that when push comes to shove on the final day of the window one party may blink and the transfer will be concluded. Add that to the feeling we all had when we announced the signings of Young, Jones and De Gea and as fans we will be on top of the world. However, should the deal not work out those original feelings of excitement and expectation should still remain with us. Along with the signings we have made, the continued improvement of Anderson and the emergence of Tom Cleverley, our midfield especially, looks stronger than it has for a number of years. Not only that but when you look deeper into the squad, and the reserves in particular, we find Paul Pogba. Here we have someone who is very highly thought of by Sir Alex Ferguson and those around him. Pogba may not yet be ready for first team action but with some hard work and a little luck we have someone along with Cleverley who will also be capable of taking over the Scholes mantle in time. 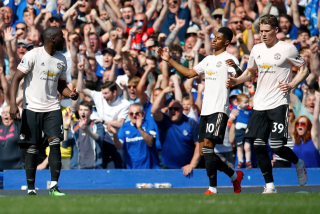 Time is something Pogba may have though: In terms of our Midfield we now have great pace going forward, options to alter the formation as we please, diversity and most of all depth. This does beg the question do we really need another big signing? The midfield as it is now is extremely capable of creating goals and the likes of Fletcher will protect the back four, when fit. As a result the reliance on Cleverley and Anderson is not as intense as it could be. Only time will tell if Cleverley and/or Anderson will produce what we want from a creative central midfielder, but should the signing of another such as Sneijder not materialise then they will get plenty of games. With these games their abilities and experience will accelerate and we may find that we have saved ourselves a large amount of money. However, should we make the Sneijder signing the number of games they play, Cleverley especially, would be limited and therefore perhaps we may lose out on an exceptional young home grown talent. Football is full of ‘ifs’ and ‘buts’, “What if he doesn’t come through?” and “But should we take the risk?”. As a result the game is full of split opinions amongst all fans. Yes it would be very nice to sign Sneijder but we are Manchester United. We are Manchester United fans. We support a team, a football club, not an individual and certainly not one which has yet to sign for us. If it happens then I, along with the vast majority, will be delighted. If it doesn’t, our performances against Manchester City, in the Community Shield, and Spurs go a long way to showing what quality this current squad has, and how strong we are even without any further signings. We should be excited and we should continue having the highest of expectations. Signing Wesley Sneijder isn’t exactly essential. Manchester United fans have a lot to look forward to, and that saga should not overshadow what we currently have.